Hansoo was born in Athens, Georgia, lived briefly in Grand Forks, North Dakota and spent his formative years in Pensacola, Florida. He was an outstanding scholar-athlete, graduating from Pensacola High School in 1996. He attended Amherst College where he was on both the ski and tennis teams and double-majored in Economics and Fine Arts. 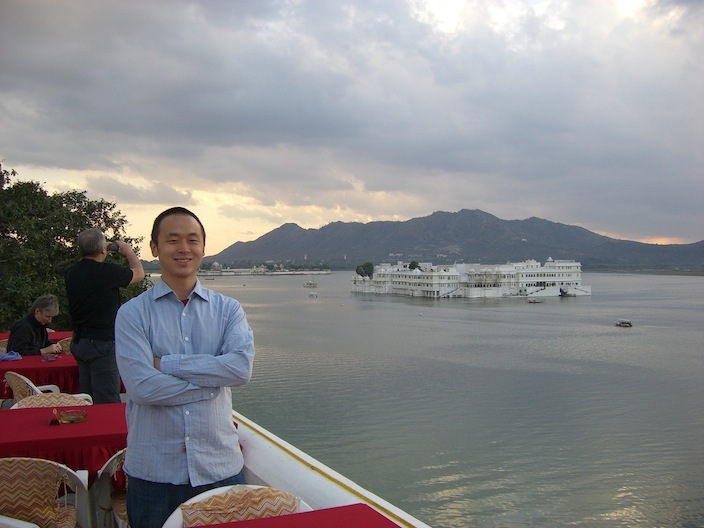 After graduating in 2000, Hansoo moved to the San Francisco Bay Area and worked at a small internet start-up before joining Walmart.com where he founded and led its Logistics Strategy and Planning team. Hansoo had a love of the outdoors, travel, food, music and the arts which he enjoyed most with his friends and family. He had a particular love of sports, especially basketball, and he was a team player in all aspects of his life. Hansoo was an eternal optimist and was always quick to make a joke. His laughter and positive attitude were infectious and brought joy to everyone around him. Not wasting any time, in his first semester, he and his classmates, Bhavin Parikh and Pejman Pour-Moezzi, began working on what would become Magoosh, an online education company with a mission of “making high quality educational material accessible to all.” Education had been a long-standing interest for Hansoo, having served on the Board of Directors of World Savvy, an education non-profit, since 2005. Hansoo relentlessly pursued the business, evolving it from an idea to a cash-flow positive company that would help thousands of students prepare for their exams. After graduating, Hansoo continued full-time with Magoosh as the company’s CEO. Under his leadership, the company raised a round of funding, brought on five full-time employees and expanded to additional markets. On December 21, 2011, Hansoo was diagnosed with Stage IV lung cancer – a shocking diagnosis for a non-smoker as fit and healthy as he was. Over the next 15 months, Hansoo would fight his cancer bravely, overcoming many setbacks, until finally succumbing to his condition on March 4, 2013. Hansoo is survived by his fiancée, Wendy, his parents, Chung Ho and Hi Whan Lee, his brother and sister-in-law, Hanmin Lee and Barbara Morgenthau, and their children Mimoh and Taemoh. Hansoo touched so many and left us all with memories we will forever cherish.